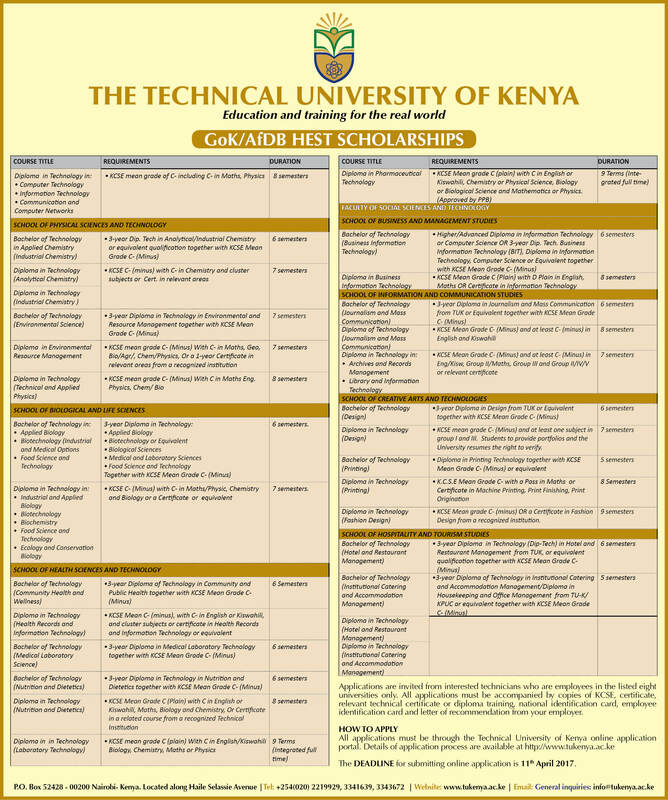 The Technical University of Kenya and its predecessor institutions (The Kenya Polytechnic and The Kenya Polytechnic University College) have excelled in technological education and training at all levels from technician to technologists and engineers. In this pursuit therefore, the University offers opportunities for upgrading training that recognizes credit transfer from one level to another. Holders of diplomas and higher diplomas can attain bachelor’s degree qualification which will in turn enable them pursue postgraduate studies. 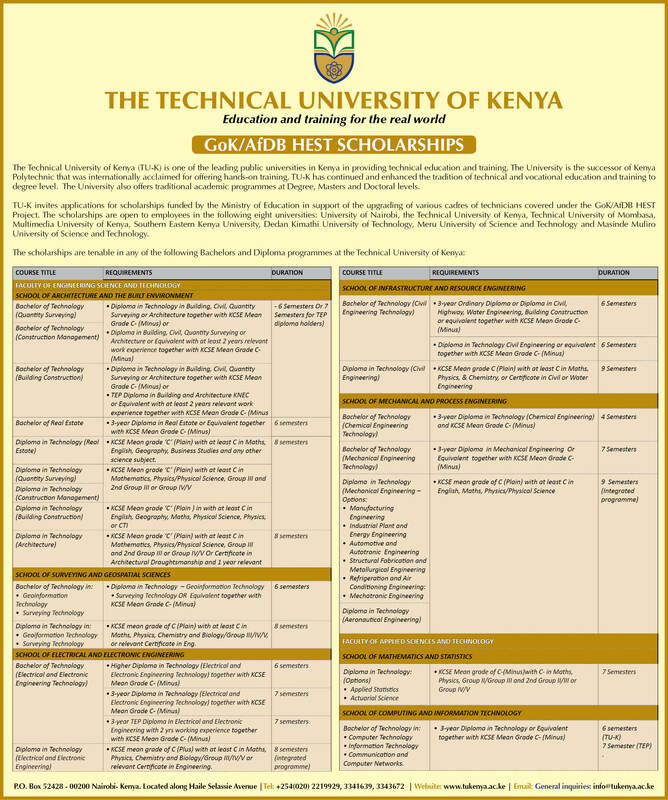 Pursuant to the above, TUK invites KCSE graduates, holders of Diploma in Technology, and Higher Diploma in Technology to pursue studies leading to Certificates, Diplomas and Bachelors degree qualifications in the respective areas of study.